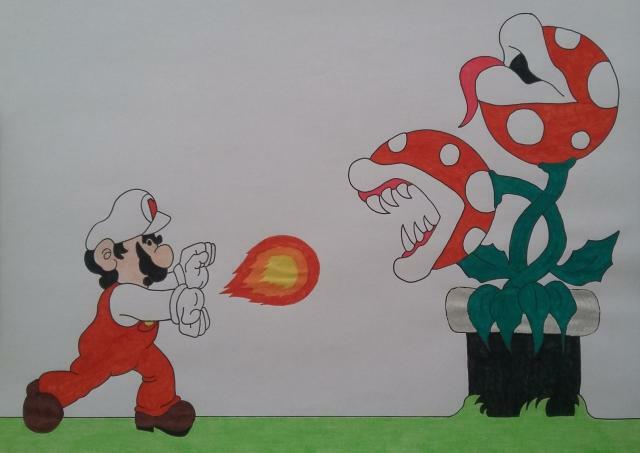 Home » cavaloalado » Pictures » Mario vs. Plant! Thank you! Good thinking! It's a good idea to add the illustration! not sure but in the nes one did it look like it was a spit fireball? That! The original resembles the throwing of a grenade or the launch of a baseball ball! Thank you! 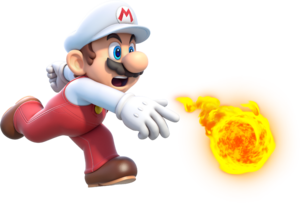 At times I wanted to draw the character Mario throwing the fireball using the Hadouken technique used by Ken and Ryu in Street Fighter! It was a fireball played with only one hand! Hadouken was my creation for illustration! It was an illustration that I wanted to do some time ago!